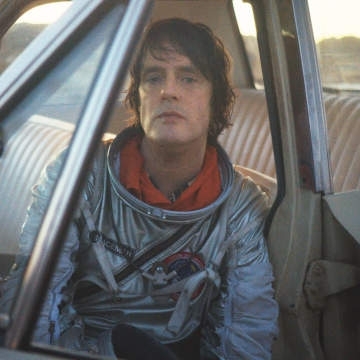 Spiritualized - Jason Pierce has always created his own worlds. It began almost 4 decades ago with Spaceman 3’s mesmerising fuzzed-up drone, which metamorphosed into Spiritualized’s majestic, beautiful soundscapes. Hypnotic hymns, throbbing blues rock, and swooning lullabies about love and self-doubt, backed by cathedral-sized arrangements full heart-swelling crescendos. Each Spiritualized album is a unique and perfectly assembled collection of sounds that are bruised and beautiful, intimate and glorious. There’s 1997’s masterpiece Ladies and Gentlemen We Are Floating In Space; the swelling, spectacular, Let It Come Down, and last year’s And Nothing Hurt, a record which seemed a perfect distillation of what’s gone before: glorious gospel, rock’n’roll, country and psychedelia sound-tracking his cracked vocals.